Stirling is pleased to announce that we have been awarded a new contract from Lockheed Martin for an additional 18 stick and throttle units for the F-35 pilot training simulators. Stirling has been engaged in the F-35 Joint Strike Fighter Programme for many years and originally contracted to design and manufacture the active side sticks and throttles for the Lockheed Martin F-35 pilot training simulators back in 2005. 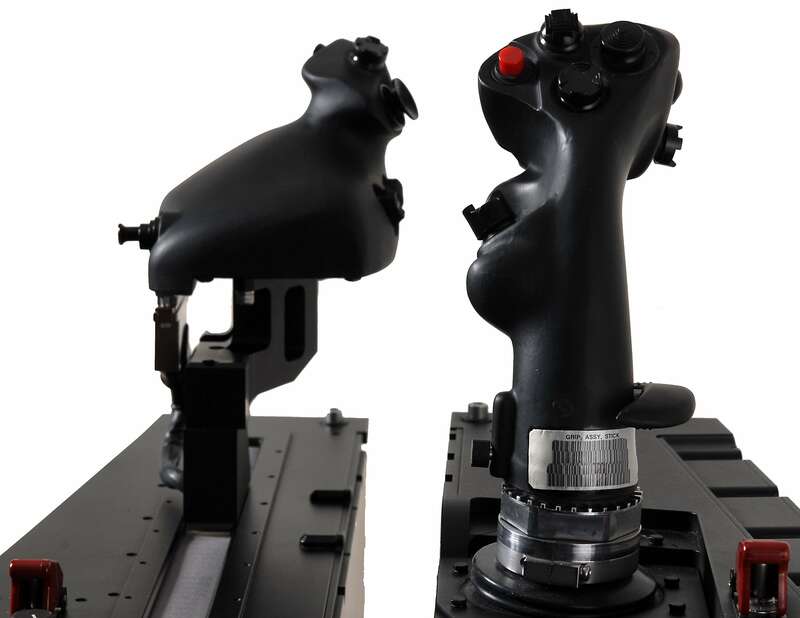 Stirling’s training stick and throttles have been designed to be visually and functionally equivalent to the flight-worthy controllers giving the ability to control the feel and haptic feedback of the sticks that dramatically improves the pilot’s situation awareness. This technology helps to provide a more realistic simulation experience and effective training environment. Since winning the contract to supply Lockheed Martin in 2005, Stirling has successfully delivered over 350 production F-35 units into the simulator programme. These units have been in-service at US Air Force, Navy and Marine training bases for several years and have proved to be highly reliable during heavy use to train pilots as the aircraft entered service. Work on the new contract units has now begun with delivery before year end.